To be able to use the LG Cookie Plus is good and right, then we need to pay attention andlook at everything on the LG Cookie Plus, so that we avoid the damage and danger. Usually the LG Cookie Plus user already exists so one time we bought a new LG CookiePlus. 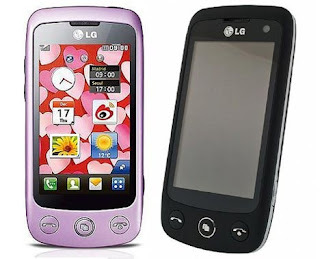 But for buyers LG Cookie Plus marks, usually is not necessarily a guide book useLG Cookie Plus. This user guide contains important information on the use and operation of this phone. Please read all the information carefully for optimal performance and to prevent any damage to or isuse of the phone. Any changes or modifications not expressly approved in this user guide could void your warranty for this equipment. Always store your phone away from heat. Never store your phone in settings that may expose it to temperatures less than 32°F or greater than 104°F, such as outside during extreme weather conditions or in your car on a hot day. Exposure to excessive cold or heat will result in malfunction, damage and/or catastrophic failure. Be careful when using yourphone near other electronic devices. RF emissions from your mobile phone may affect nearby in adequately shielded electronic equipment. You should consult with manufacturers of any personal medical devices such as pacemakers and hearing aides to determine if they are susceptible to interference from your mobile phone. Turn off your phone in a medical facility or at a gas station. Never place your phone in a microwave oven as this will cause the battery to explode. Read these simple guidelines. Breaking the rules may be dangerous or illegal. Further detailed information is given in this user guide. · Never use an unapproved battery since this could damage the phone and/or battery and could cause the battery to explode. · Never place your phone in a microwave oven as it will cause the battery to explode. · Do not dispose of your battery by fire or with hazardous or flammable materials. · Make sure that no sharp-edged items come into contact with the battery. There is a risk of this causing a fire. · Store the battery in a place out of reach of children. · Be careful that children do not swallow any parts such as rubber plugs (earphone, connection parts of the phone, etc.). This could cause asphyxiation or suffocation. · Unplug the power cord and charger during lightning storms to avoid electric shock or fire. · When riding in a car, do not leave your phone or set up the handsfree kit near to the air bag. If wireless equipment is improperly installed and the air bag is activated, you may be seriously injured. · Do not use a hand-held phone while driving. · Do not use the phone in areas where its use is prohibited. (For example: aircraft). · Do not expose the battery charger or adapter to direct sunlight or use it in places with high humidity, such as a bathroom. · Never store your phone in temperatures less than- 4°F or greater than 122°F. · Do not use harsh chemicals (such as alcohol, benzene, thinners, etc.) or detergents to clean your phone. There is a risk of this causing a fire. · Do not drop, strike, or shake your phone severely. Such actions may harm the internal circuit boards of the phone. · Do not use your phone in high explosive areas as the phone may generate sparks. · Do not damage the power cord by bending, twisting, pulling, or heating. · Do not use the plug if it is loose as it may cause a fire or electric shock. · Do not place any heavy items on the power cord. Do not allow the power cord to be crimped as it may cause fire or electric shock. · Do not handle the phone with wet hands while it is being charged. It may cause an electric shock or seriously damage your phone. · Do not disassemble the phone. · Do not place or answer calls while charging the phone as it may short-circuit the phone and/or cause electric shock or fire. · Only use the batteries, antennas, and chargers provided by LG. The warranty will not be applied to products provided by other suppliers. · Only authorized personnel should service the phone and its accessories. Faulty installation or service may result in accidents and consequently invalidate the warranty. · Do not hold or let the antenna come in contact with your body during a call. · An emergency call can be made only within a service area. For an emergency call, make sure that you are within a service area and that the phone is turned on. · Use accessories, such as earphones and headsets, with caution. Ensure that cables are tucked away safely and do not touch the antenna unnecessarily. *For more details, can be downloaded here User Guide Mobile LG Cookie Plus (LG-GS500g).